5 Star Rating, check out our reviews! If you have 8 or more employee’s needing drug screens and/or physicals, we will come to you! Pre-employment DOT and NON-DOT drug test! The efficiency of dealing with one vendor even if you have multiple sites. Pass Your DOT Medical Exam! Dr. Merati knows how important it is that you continue your livelihood as a commercial driver. With their extensive knowledge of the DOT Physical Exam medical guidelines, Dr. Merati will steer you through the DOT Physical Exam requirements so you can Keep on Truckin’. Looking for a DOT Physical Exam or CDL Physical Exam in Duluth, Georgia? You’ve come to the right place! 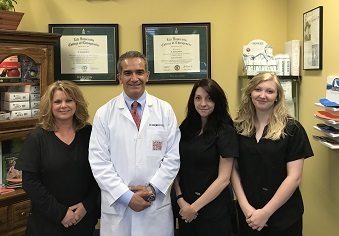 Dr. K. Anthony Merati practices in two different clinics, one is located in Duluth, GA, the second one is located in Homer, GA. He is a member of Georgia Chiropractic Association. 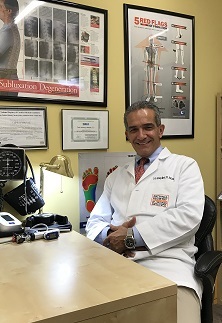 Dr. Merati is also is National Registry of Certified Medical Examiners along with being board certified by Nation Chiropractic Examiners. He always strives to be the best doctor possible and help everyone.